Projects in the public realm - Many of Pearman’s works utilize screen-printing techniques. He enjoys the notion that in screen-printing all three dimensional form is flattened in an instant. It is this idea that flourishes throughout his work unrestricted by the mediums used. For example, when casting concrete or machining plastics, he employs similar application techniques found in printing such as registration and stencilling. His work often investigates and employs the language of graphic representation to depict an array of narratives and he frequently shifts and distorts this visual vocabulary to varied levels of abstraction. These narratives found in his work stem from an explorative and humorous approach to subject matters such as cinema, pop art, flora and fauna, science fiction, literature and low-tech special effects. These themes often overlap, as do the materials and techniques used to describe them. His art often has a physical premise that exposes the process involved to make it. His work in the public realm involves collating, interpreting and presenting a variety of narratives and information. Sometimes the outcome is an interpretation of that collated material and other times that information is one of the main components of the work itself. 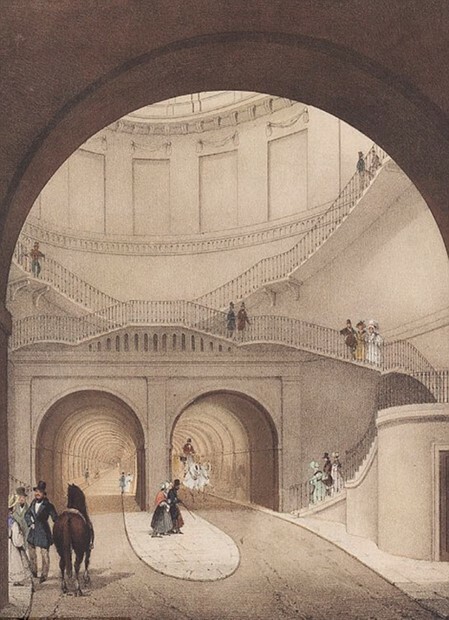 For example, these narratives could stem from a community’s collective and personnel history, Brunel’s engineering ambitions of tunnelling under the Thames, or a presentation of a train enthusiast’s photographic collection and notes for Great Yarmouth Station. His work is presented in a variety of different formats and scales from large commissioned architectural glasswork to screen-print on paper to concept furniture. He has successfully completed a number of large-scale public art projects over the past eighteen years and this is currently his main discipline. Clients include architectural firms, private and public galleries, the NHS, public art commissioning agencies and local authorities. Employing a rich diversity of mediums, such as glass, concrete, plastic, photography and vitreous enamel has enabled him to deliver and exhibit a variety of exciting and engaging contemporary projects. 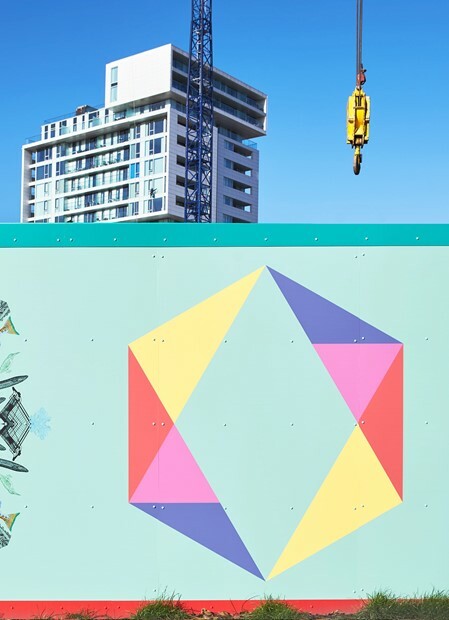 Artworks - Along side working in the public realm, Tom produces a variety of artworks adopting different mediums that explore themes which are then often incorporated into current and future public art schemes. Education and participatory projects - The majority of schemes that Pearman delivers involve a community out-reach strategy drawing upon extensive experience working with a rich variety of user groups. Previously he has conducted radio interviews with the BBC, delivered exhibitions and conducted participatory educational public workshops as part of arts festivals and developed dynamic project-specific websites that have presented the community consultation undertaken and outlined a project’s key development stages and aims. He has acted as lead artist contracting various community outreach bodies to conduct participatory events with a variety of target groups. The project specific art workshops that Tom has undertaken with schools have investigated how a professional artist works, investigated the materials employed and have been specifically tailored so that a particular chosen theme is explored within the overall context of the public art commission. Tom has devised and delivered numerous creative sessions within primary and secondary schools linking curricular content to a variety of challenging and engaging activities. For example, Tom delivered a series of primary school sessions, which explored microcosm and macrocosm as seen through optical devises such as binoculars, magnifying glasses and microscopes. This exploration began with the showing of the inspirational film, ‘Powers of Ten’, a short American documentary film written and directed by Charles and Ray Eames. The discoveries are showcased as a series of architectural glass designs for their school stairwell windows. For IDEAS : PEOPLE : PLACES, an arts strategy funded by the Arts Council of Wales, Tom worked with a Holyhead secondary school science departmentusing MINECRAFT as a platform to design a series of imaginary environments and architectural structures. These structures were devised without practical constraints or limitations, embracing the ideological notion of utopia. Tom has also acted as a mentor for local university students who were offered a bursary to be involved in a public art commission for Salford Council on a temporary basis. 1993 - ’95 Royal College Of Art, London, Master of Arts, Printmaking. 1990 - ’93 Brighton University, B.A. Honours Degree, Fine Art. 1996 Clerkenwell College, Cambridge Certificate in computer animation. - Public art project for GREAT YARMOUTH STATION / EXPO. Commissioned by originalprojects; to design a 60m presentation of a train enthusiast’s photographic collection as part of Great Yarmouth Expo, a project that collects and celebrates cultural artefacts, personalities and customs from the people of Great Yarmouth. - Large-scale 8x8M vitreous enamel optical wall-artwork which references the Greater London rail and tram network symbols and exact colours, and a series of 12 enamel way-finding signs, creating a unique identity for a new Bellway Homes development in Croydon. - A collaborative installation of light projected imagery for the Thames Tunnel Shaft of the Brunel Museum by Tom Pearman & Anne Krinsky. The installation merges Pearman’s animations of faux tunneling forms, inspired by Brunel’s Tunnel and Tunnel Shaft and Krinsky’s video footage of the river and its architecture. The project is part of the Totally Thames Festival 2017, which ran through the duration of September 2017. - Central Bedfordshire Council commissioned Pearman to undertake a public art commission for a new council community hall and council offices in Stotfold, Bedfordshire. Pearman designed and managed a vitreous enamel cladding and glazing vinyl system spanning 3 elevations. The artwork is a continuous design that overlaps 60 meters of the exterior walled area and the glazing. – Commission for Gayhurst Community School in Hackney for a series of collaborative based wall relief art works exploring the game of consequences / misfits within a cultural context of Hackney and the wider London area and its architecture and community. - Funded by the London Mayor’s Air Quality Fund, Tom Pearman was commissioned to design a series of enamel signs to be located within the Brockley area, in South London. The locations included a public library, a public house, a station cafe and 3 local schools. Each artwork has a different positive message on a different opening box that contains ‘CLEANER AIR’. - Commissioned by ArtReach, Pearman devised and conducted a series of engagement sessions in a variety of locations in Holyhead, Wales, as part of IDEAS : PEOPLE : PLACES. An arts strategy to embed the arts in a genuine and meaningful way, in a small number of imaginative and innovative regeneration projects, funded by the Arts council of Wales. - Artist in residence / architectural window design for Marshgate Primary School in collaboration with Orleans Park Gallery, London Borough of Richmond. - Glass commission for Oxford Health NHS Foundation Trust for their new hospital in Aylesbury. - Sefton MBC Bootle Cemeterypublic art commission. Project involves the production of 100 site markers around the cemetery celebrating the 100thanniversary of the site. - Spinning Top commission for Hackney Borough Council involving the fabrication of spinning tops with the public using a record turntable. - Large-scale vitreous enamel public art project for Vale of Glamorgan Council, Barry town centre, celebrating Leon Vint’s Electric Palace, an early cinema that once stood on Thompson Street in the early part of the C20th. 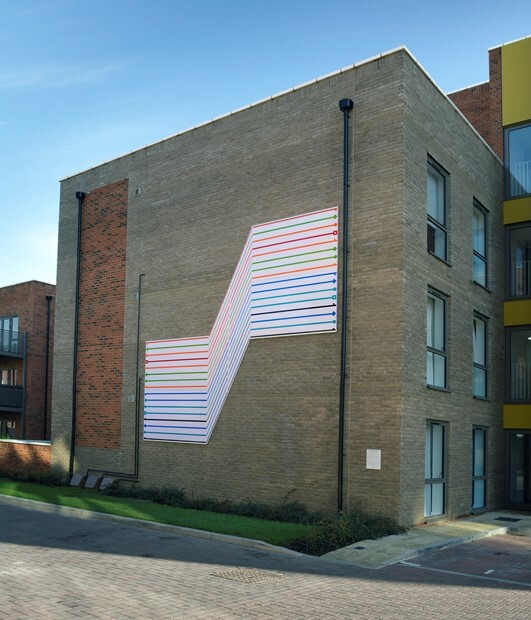 - Public art scheme for Guilford Housing Association and Guildford Borough Council situated in a local playground using twenty six meters of bespoke machined industrial plastic panels, under the Percent for Art programme. - Architectural glass commission for The John Peel Centre for Creative Arts. Built in 1835, the originally named Corn Exchange in Stowmarket now provides a high quality arts venue in the heart of Suffolk. - Selected as the artist and consultant for a Capital Build Programme for Burnham on Crouch Primary School, Essex. Project has involved integrating artwork into the redesign of the school, including an architectural glass application to the new assembly hall’s main glazing. - Capital Build Project for Winter Garden Primary School, the artworks explore a sense of an opening, doorway or journey to another world, place or culture. This is represented by the introduction of industrial plastic artworks that take on the appearance of false doors, stairs and windows situated around the school’s grounds. - Broomfield NHS Hospital stained glass and custom Polyrey laminate commission. Selected for lead artist for the emergency floor of the new Bouygues [UK] Ltddesigned hospital in Essex. - Large-scale architectural glass commission for the University of Ulster, Art in Architecture scheme. Commission involves producing artwork for cafe bar curtain glazing system, (3 meters in height). Ongoing. - Commission for new Hull NHS Hospital to design of a series of display cabinets for the Pathology Department to showcase a collection of historical scientific and medical instruments. - Winner of open competition for window commission for Logistik Limited, London branch, Shoreditch. Commission involves the design of 10 x 3 meter glass artwork for new Conrad designed offices. - Chapel Street Regeneration Public Art Scheme involving the development of a series of creative signage / markers / features along the pedestrian route, ‘Trinity Link’ for Salford City Council. - Large-scale ceiling to floor screen, lighting and external sign commission, for Bethlem Royal Hospital / Trust Arts. - Large scale lighting, sculpture and architectural glass commission for York NHS Hospital’s Cancer Care Centre external courtyard and interior main entrance. - Glass Artwork commission for the new NHS Cardiac & Surgical Unit at Stepping Hill Hospital, Stockport. - Ashington Sure Start Shortlist Design Proposal Commission for primary school perimeter wall scheme, Northumberland. - CITE public art commission for new paternity NHS hospital, Darwen, involving large-scale atrium decorative glass commission. - Site specific large scale screen print commission for Broomfield NHS Hospital, Essex, Phase 2, ongoing. - External seating commission for Cannock Chase Council, Arts for Health project, ‘Walk to Win’ and the Forestry Commission involving bench design and production to be sited on an established trail at Birches Valley in Rugeley, Staffordshire. - Public art commission for Leicester City Council and Leicester Housing Association involving design of soft and hard landscaping of a seating area, children’s play area, and basketball court with integrated artworks. During this project, Pearman was involved in a series of community workshops working with youth schemes, people with learning difficulties, elderly people and primary school children. The artworks for the scheme include vitreous enamel panels, relief concrete slabs, furniture and a mosaic tiled area. - Site-specific glass commission for TTP boardroom, Cambridge. - Design of display tables for ‘Out of Sight’ touring exhibition, Hayward Gallery. - Site specific large-scale screen print commission for Broomfield NHS Hospital, Essex. - Cellular phone digital art commission for Vodaphone. 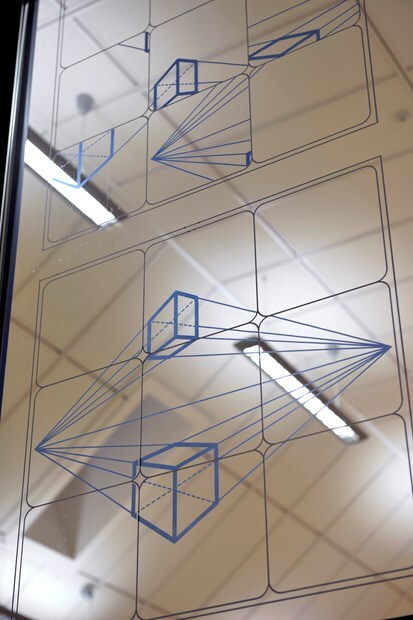 - Architectural glass commission for London Print Studio, involving design and print of panels for the 30-metre glass gallery facade. Working with the project architect to establish the optimum medium, silk-screen printing was combined with a modern process of stained glass, to provide an architectural permanence. The architectural panels are visible from both the interior and exterior of the building. - Design of display tables for Anthony Gormley touring exhibition, Hayward Gallery. - Poster design for ‘House of Flora’ launch, in collaboration with Bruce McLean. - Design of recording booth for John Peel’s Meltdown, South Bank Centre. - Design of display tables for Henry Moore touring exhibition, Hayward Gallery. - Design of display tables for Bruce Nauman touring exhibition, Hayward Gallery. - Design of display tables for Angela de la Cruz touring exhibition, Royal Festival Hall. - BBC offices commission of screen prints. - Contemporary Glass Society, 4th Cutting Edge Showcase Exhibition. - Ornamental Status III, 5thBase Gallery, London. Sculpture and furniture Exhibition. - Architectural glass exhibition, ‘Nou Vitrall’, Larquitectes Tecnics de Barcelona, Barcelona, as part of Barcelona’s year of design. - Solo Print Exhibition, Capital Prints, London. - Window Glass Print solo exhibition, Alphabet, London. - Furniture and Print solo Exhibition, Oxo Tower Wharf, London. - Screen print solo installation, Mean Fiddler / Cube, London. 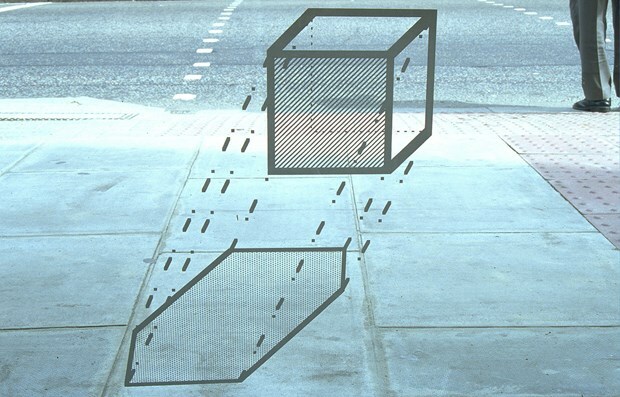 - Glass Print solo exhibition, Crowbar Gallery, Exmouth Mkt., London. - Flowers East Box Set Exhibition, London. - Bruce McLean Large Print Exhibition, Ipswich. - C A D and Internet Touring Exhibition, London, Brighton & Edinburgh. - Hydra, 333 Club Animation Exhibition, London. - The Raw Club, digital film presentation, London. - Fitzrovia Exhibition, Holborn, London. - International Furniture Trade Fair, special focus stand, Earl’s Court 2, London. - Art & technology Show, Mall Galleries, London. - Artists’ Access Scheme at Central St. Martins Art School architectural glass department. - ‘Glass at Central’, Hildegard Pax. - ‘Glass and Print’ book from the Institute for international Research in Glass which covers printing techniques for glass, publishers, A&C Black. - ‘Nou Vitrall’, architectural showcase publication, Larquitectes Tecnics de Barcelona, Barcelona. - Corning Museum of Glass, New York, annual publication: ‘New Glass Review 23’. - BBC Radio Leicester interview for Public art commission for Leicester City Council and Leicester Housing Association.